I had my first post up the 3rd of April in 2012. My first review was on the City of Bones by Cassandra Clare. It wasn’t my best review (actually filled with spoilers, yikes!) but I definitely learned a lot from there on! One of my favorite part of book blogging is actually reviewing the book and receiving the authors replies and/or feedback. Of course hearing from my followers is also a big plus and sharing each other’s thoughts, opinions and different perceptions is something I really love doing! I mainly blog about books revolving around Young Adult books filled with romance, thriller, suspense and anything that will keep the pages turning! But I like to consider myself as an open person so when an author presents a book to me which is slightly outside of my genre preference, and it truly intrigued me, I would still really like to give that book a chance. 4. What is your favorite book(s)? There are so many favorites that piled up throughout my blogging experience, but the ones that really left a big impression on me so far are (of course) The Hunger Games Trilogy by Suzanne Collins, Blood Red Road by Moira Young, Delirium by Lauren Oliver, and The Mortal Instruments series by Cassandra Clare. One of the best thing that has happened to me because of book blogging is actually finding a hobby that I love and enjoy spending time on doing. Book blogging, as any blogger know, takes an extreme amount of time out of your day, and I always say, life is short so you need to fill it up with things that you love and love doing. So I am happy that I have found that in book blogging and learned the things that I have learned and met the people that I have met! Q: What is a book you didn't like that all your friends raved about or what book did you love that wasn't popular? Delirium by Lauren Oliver, the Hush Hush series by Becca Fitzpatrick, the Fallen series by Lauren Kate, and Everneath by Brodi Ashton. I liked all of these but I just didn't love them in the way that most other people did (although Hush Hush and Fallen were mixed bags for a lot of readers). *Update: I accidentally forgot to put the new linky up. It's fixed. I have a friend reading the Delirium series and she's not crazy about it either. Happy Friday! oh how come the linky post is closed? I read the Everneath series and it was ok. I also did not like Hush, Hush. I think I barely got started before I put it down. I'm at number 22 but I typed in the wrong title. Is there a way so I can change it to Rookie Romance? Everneath was such an epic fail for me. I know people are mixed on Delirium, but did you read Before I Fall? Amazing. I figure I'll get to Hush Hush one of these days. I was hit and miss with some of those books too... Great examples! Ha! I adore FALLEN so much! ... and hush hush..
And me liking books others didn't? Hm... not such a clue to be honest .. I thought the only book I truly liked from the Fallen series was the last book which judging from a lot of other peoples reviews their view was similar. Lots of people have a love hate relationship with certain books I think and I guess it all depends on taste. Some books are so loved by almost everyone while others are argued over. Great question and answer this week. Happy Friday! I have Delirium and Hush Hush sitting on my TBR list. I've heard of Lauren Kate's Fallen series, but I haven't heard of Everneath. I'll check it out, though. Thanks for stopping by my FF. I didn't care to read any of those either, except for Hush Hush. I did like that one. Everneath wasn't really for me either and the rest I've never read since they never sparked an interest. I didn't like Hush Hush either. Fallen was good but the other books in the series were definitely less. I haven't tried either of those - but it has come highly recommended. This is my first time on the feature. Think it is a great Idea! I loved Delirium but didn't like Hush Hush so much. Here's my very first Follow Friday. Oh, I loved Delirium! Haha but you can just see how so many opinions vary about this book :) Thanks again for featuring me! This is my first FF. Love this idea, but not sure I've done it correctly. :/ Social media makes my head spin and html and coding is like learning to speak Arabic. SMH!! I agree with you on Delirium. Something was missing for me. Thanks for sharing & for hosting Alison! I've been meaning to read the Hush Hush series. I guess I'll find out what you mean :) soon when I read it. Thanks for featuring me on FF this week! Delirium and Hush Hush series... I started reading the first books and couldn't even finish them! My first F&F! I have Everneath on my TBR list but haven't read any of the ones listed. I'm a new follower! I never understood the hype over Fallen. I was bored with it and ended up not finishing it and moving on to another book. I should give it a try sometime ! Cool feature and understandable picks. I liked Hush Hush but hear the other books in the series aren't as good so i haven't made up my mind to continue it. I've seen Hush, Hush and Fallen some today, but haven't read them yet. Thanks for stopping by this week! Old follower. Awwww sorry you didn't love Everneath Alison! I adored that book:) For me it was Throne of Glass. Everyone else seemed to rave about it and I just couldn't quite get on board. *sigh* Oh well:) Happy Friday! I'm going to participate in this someday. I really liked Delirium but Pandemonium was a complete fail, and didn't bother to read Requiem. Haven't tried Hush, Hush and don't think I will either, and as for Fallen I actually liked right up till the last book. Couldn't finish that one. I've read all but the last one; I don't think I've even heard about it before. I liked Delirium and Hush, Hush, but Fallen was my mixed bag. It just... got so ridiculous at some points, if I'm remembering correctly. Im so with you. I didnt get pulled into the hype of Delirium either. Just not my thing. I really loved Delirium. I only read the first Hush, Hush book (kind of "meh") and I've never read Everneath, although it's on my list. I like reading these answers -- it's hard not to get emotional, like, "How could you NOT LOVE THAT BOOK???" But, you know, there's no book that everyone loves. Thanks for visiting. I'm with you on Delirium and Hush Hush. I read the entire series of both books, but I was really annoyed with Delirium, and always felt kind of meh about Hush, Hush. Thanks for visiting my FF. Well I liked Delirium. But I found Pandemonium better than the first for sure. I've been thinking about reading Hush, Hush but I'm just not sure about it... I'll probably at least give it a try though. Yeah, that rash of angel books was a mixed bag...I don't like a lot of religion in my stories, which is hard when it is a story about angels. I did like Hush Hush, though I haven't read the last one yet. I am STRUGGLING to get through the last Fallen and I was not a fan of the Embrace series, either. I did like Delirium, though Pandemonium has the dreaded LOVE TRIANGLE. I haven't read the last one yet. The book that most of my friends like and I didn't like was Daughter Of Smoke and Bone. It just didn't catch me the way I expected it to. The Hunger Games is still one of my favorites even though I read it more than 2 years ago! It was also my first choice as a book club read. I agree with you on Fallen series by Lauren Kate. I've heard people crazy over it but I just don't see why. For me it's just an ok read, nothing special at all. I did not read the others yet so I do not know if I will like or dislike it. I've seen Hush Hush on quite a lot of lists! I really liked Hush, Hush and Everneath, but I thought Fallen was terrible. I read before I started blogging and even back then I thought it sucked haha. I liked Delirium but I wasn't all that impressed with it like everyone else! I was a bit underwhelmed with Hush, Hush and Fallen...I took awhile to finish Hush, Hush. I did enjoy it, but it wasn't as great as I had expected. Maybe that's why cos it's so publicized and everyone is raving about it, that when it doesn't deliver to be THE BEST it disappoints us. I read Delirium right after I read Before I Fall, and I liked Delirium a lot but think that Before I Fall influenced me in not liking Delirium as much as other people. I loved Before I Fall so much that at that time nothing else really compared. I've only read Delirium and haven't read the rest of the trilogy, but I plan on reading the whole thing. My friend just finished the trilogy and wasn't happy with the last book at all. She also said she thinks the first book was kind of too long. Everneath was an "okay" read for me. I thought that it had the potential to be so much better but it was so slow and drawn out the way it was written. It could of easily been half the length and nothing would have been missed. Old follower. Thanks for stopping by my FF. I feel the way about The Fallen Series and Everneath. Hi Alison :) You asked me about Wordpress and GFC, and here's a link to someone who did it : http://missdriftedsnowwhite.com/2013/01/5-steps-to-get-keep-google-friend-connect-on-wordpress-2013-solution.html. I can't remember exactly what I did, but I have a text-widget only with java-script. But I can't find where I got the exact information I used. In the link above, it seems like it shouldn't be too difficult as long as you start this when your blogger is still up and running. Aww sorry to hear you didn't like Everneath! I agree with you about Fallen and Hush Hush. I tried with those series, I really did, but I gave up ultimately. There are definitely some new adult books I've started and I just don't get the appeal of. The Vincent Boys for one. I guess I should give it another try at some point. There must be a reason for the rabid enthusiasm. Great question this week! Delirium and Fallen are on mine too! I just couldnt stand to get past both! I did love the hush hush series, but the Fallen series were just okay. Thank you for stopping by my blog, have a great weekend! I have been want to read the Hush Hush series, but haven't gotten to it yet. Thanks for stopping by my place!! :) Hope you are having a great weekend! 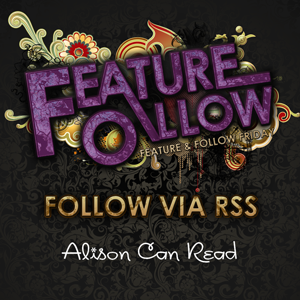 Hi Alison, I'm a new follower! After reading your post, I am looking forward to this. Your post is particular useful, plz keep going. Runescape accounts for sale is also cool! What Makes a Classic Novel? An Updated CAPTCHA Guide: Eradicate the Evil!